Thea Sullivan is a poet, nonfiction writer, and writing teacher living in the San Francisco Bay Area. She earned undergraduate and graduate degrees from Brown University and an MFA in creative writing from Goddard College. Her nonfiction has appeared in The Sun magazine and Salon. 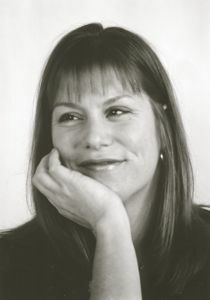 Her essay “Trying” was shortlisted for The Best American Spiritual Writing, 2006, and was also anthologized in Mamas and Papas: On the Sublime and Heartbreaking Art of Parenting. Thea’s poetry has been published in The Sun, The Cortland Review, Barrow Street, Calyx, Quay, Water-Stone Review, and elsewhere. She was a finalist in both The Jane Kenyon Poetry Prize and The National Writers Union Poetry Competition. She also received Honorable Mention in the New Millennium Writing Awards XV, and had a poem selected for the anthology Knowing Stones: Poems of Exotic Places. Other writing projects have included a radio essay for the Perspectives series on KQED-FM and an interview for The Sun magazine with visionary Woody Tasch, founder of the Slow Money movement. Since 1995, Thea taught in a wide variety of settings, including The Writing Parlor, The Academy of Art University, The Writing Salon, and The Delancey Street Foundation, all in San Francisco. In 2002, she switched to offering private creative writing classes, coaching, and retreats through her small business, The Intuitive Voice. More recently, she’s served as a founding board member for Lit Camp, the Bay Area’s award-winning juried writer’s conference. You can contact Thea here.